YAY! my third DVD was released today. Produced by the wonderful team at Tawzer Dog. A huge thank you to my clients and friends who brought their puppies and dogs in for filming. They were awesome. Some awesomely scampy, others awesomely calm! 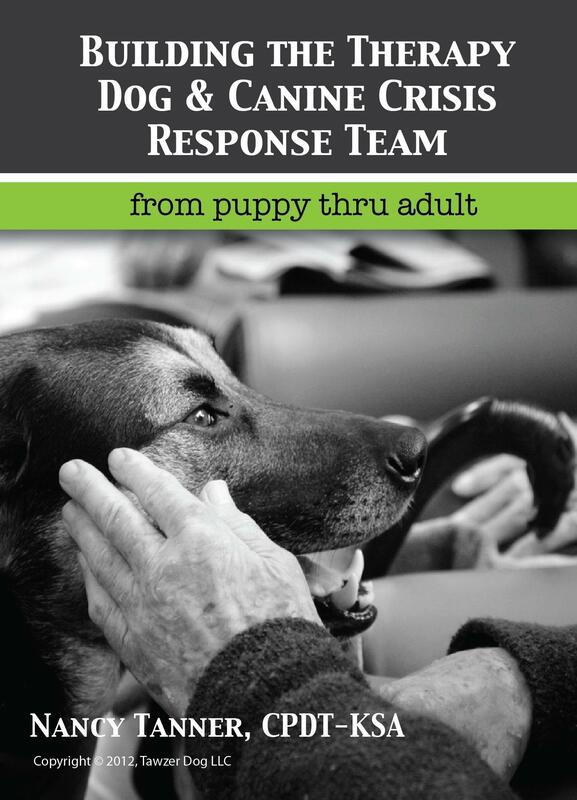 ” …Building a Therapy Dog or a Crisis Response Dog from puppy on thru adult isn’t always as straight forward as it may seem. It goes beyond the basics of sit, down and come. Puppies, adolescents, and young adult dogs have special considerations during certain developmental stages. Handlers that have the goal of being part of a working dog/handler team learn how to keep things real and work through all of these stages while becoming better at observation and handling. Starting with small group puppies, this video shows new handlers and their puppies working through some less obvious challenges, working with short attention spans, working with distractions, handling to encourage team, socialization, and play. Live handler instruction demonstrates the important components when building a working team. The adolescent team exercises and training shows the more fluency and understanding in the team. Adding duration, distractions and more settle. Working through the challenges of sub fear stages, sounds sensitivity, over exuberance and more. Young adult teams learning more specific behaviors, truly working as a team. The challenges for these handlers are distractions, some exuberance, and curiosity.